Catizol ~ Natural remedy for cat pain, cough, and inflammation. CATIZOL ~ is designed for cat discomfort. When cats cannot adapt to physical stress it can lead to back, head, nerve and joint discomfort. CATIZOL is for cats exhibiting these types of discomfort. CATIZOL'S special blend of herbs contains certain factors not seen in other back and joint supplements. It can be used daily or just when extra help is needed. 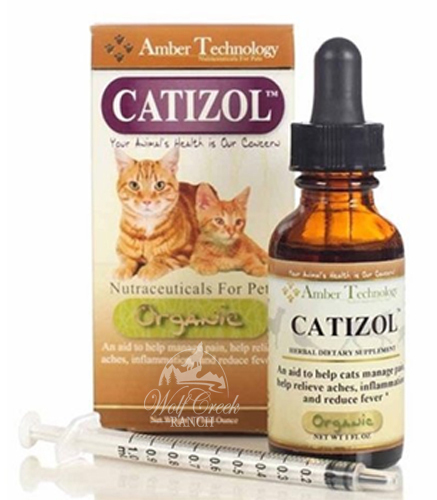 Catizol is an all-natural herbal product designed to help relieve pain in cats. Catizol has Yucca root, which has saponins, which are the precursor of natural cortisone normally produced by the adrenal glands. Yucca root has been clinically proven and effective for migraine relief as well as less pain, stiffness, and swelling in joints. Healing is delayed when pain caused by tissue damage is not relieved. A number of studies suggest that uncontrolled pain has an adverse effect on our immune system, Pain is stressful and can prolong recovery. The sooner that pain is relieved the sooner one returns to their normal habits. These occasional aches from normal bodily activities may lead to physical and metal stress. Catizol helps to maintain physical and mental well being in your feline. An examination from a veterinarian is recommended prior to using this product. "Proprietary Blend of (Yucca Root 2,3,4, Devil"s Club Root & Bark 2,3,4) 183 mg."
**Suggested Use for larger animals: Add an additional 5 drops of the Catizol for each additional 100 pounds of the animal's body weight to each dose. Please note: 100 drops = 1 tsp. ; 50 drops = 1/2 tsp. ; 25 drops = 1/4 tsp. Catizol has a 4-year shelf life from date stamped on bottle. Caution: Safe use in pregnant animals or animals intended for breeding has not been proven. 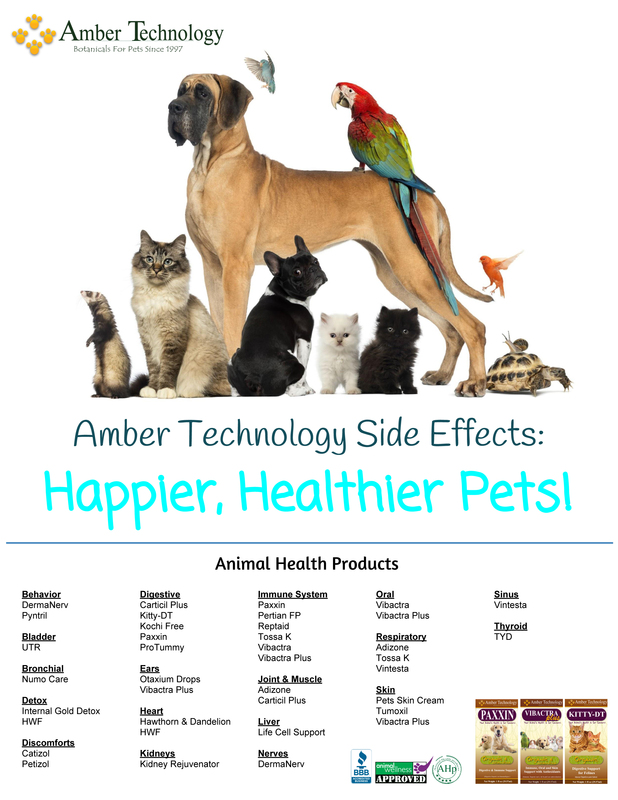 If animal�s condition worsens or does not improve, stop product administration and consult your veterinarian. An examination from a veterinarian is recommended prior to using this product. Warning: For animal use only. Keep out of reach of children and animals. In case of accidental overdose, contact a health professional immediately. An examination from a veterinarian is recommended prior to using this product. CATIZOL ~ is an organic natural anti-inflammatory that reduces inflammation, supports upper respiratory and bowel conditions, eases muscle, join, and nerve pain. 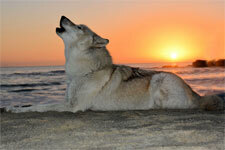 Catizol is helpful for conditions that would benefit from prednisone.